Patriots fans showed their support for their quarterback before Thursday night’s preseason game against Green Bay. Residents in four states are far more likely to believe Patriots quarterback Tom Brady is completely innocent in the Deflategate scandal, while people in the rest of the country are much more likely to believe he is completely guilty, according results of a recent national survey. You can probably guess which ones have No. 12’s back. 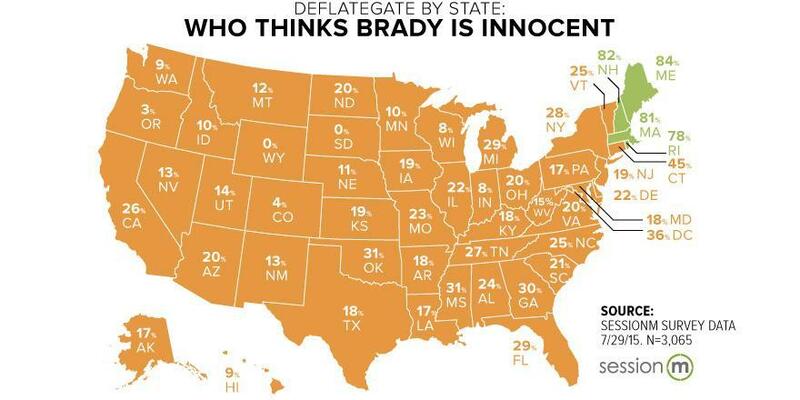 In most other states, at least 80 percent of residents believe Brady is guilty, the survey shows. The company surveyed 8,000 people, releasing results for only the 3,000 respondents who said Brady was either completely guilty or completely innocent. The results did not include the 5,000 others, who were less certain about Brady’s guilt or innocence and others who said they had not followed the controversy. 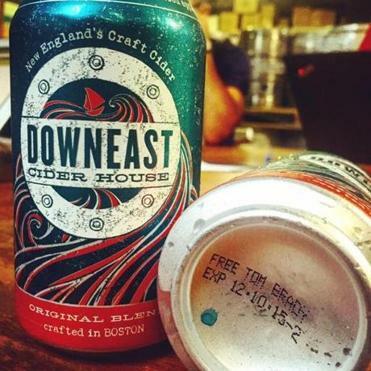 An Indiana brewer wrote “Tom Brady Sux” on 20,000 of its cans. That didn’t fly with some colleagues here. 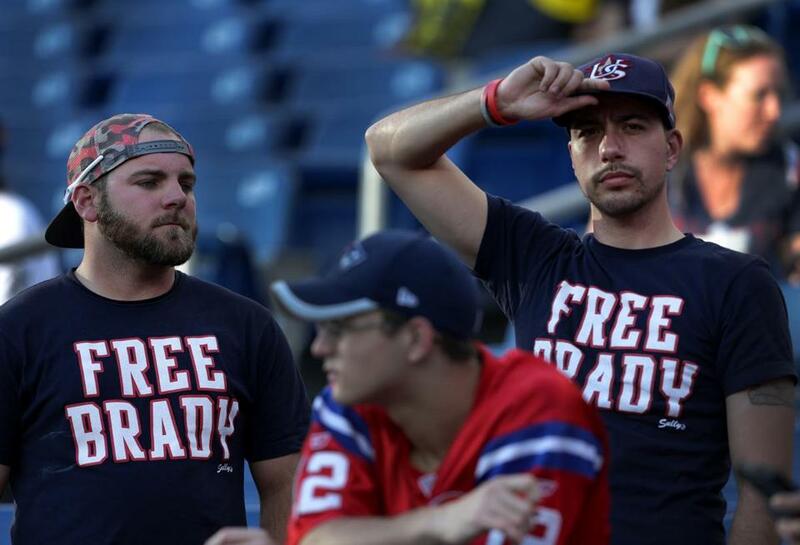 Read: So who invented that ’Free Brady’ T-shirt anyway? The company also sliced the data by age and gender and found that, nationally, younger people and men tended to be somewhat stronger believers in Brady’s innocence. The results were released this week, but the polling was done about two weeks ago. The survey was reported on previously by Adweek. Meanwhile, ESPN this week polled 100 NFL players and found that most, 72 percent, believe the Patriots are guilty of deflating footballs, but few, only 16 percent, are upset about the controversy, and most, 68 percent, said they believed other teams also illegally tamper with footballs. Perhaps the only opinion that really matters at this point is that of Judge Richard M. Berman, who, unless a settlement is reached, will decide whether to uphold or strike down the NFL’s four-game suspension of Brady.